Eastman Kodak will receive the Philo T. Farnsworth Award at the 64th Primetime Emmy Engineering Awards, which will be held October 24 at the Loews Hollywood Hotel. Olivia Munn is hosting the ceremony, which will present eight Emmys to the likes of Netflix, Dolby and Sony as well as an engineering plaque to Adobe Systems. When you think of stop-motion animated films, you think of artists meticulously hand-animating a puppet, snapping a frame, and doing that for hours or even days for a shot that might only last seconds on screen. But with films from Laika, that can often be just the start of the process of bringing a shot to life. This is because the studio also makes significant use of visual effects in the form of CG characters, set extensions and clean-up work in creating the final frames. Thinkinetic has released Pulldownit 4.5 for 3ds Max, the latest version of its shattering and dynamics plugin. It’s not every day that the visual effects supervisor for a film is also the author AND the photographer of that film’s ‘making of’ book. But that’s exactly the case with Industrial Light & Magic Presents: Making Solo: A Star Wars Story, for which VFX supe and co-producer Rob Bredow documented the process of making the Ron Howard film with rare first-hand access. 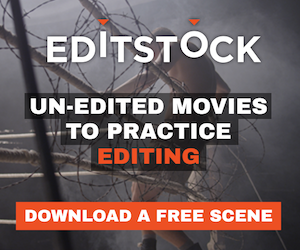 If you work as an audio editor or mixer on projects that has been through a video edit, how many times have you been frustrated by what OMF, AFF and video files you have been sent from the video editor. In this article we share our recommendations as to what a video editor can do to make life easier for sound editors and mixers. You might want to share this with any video editors that you work with, if you have problems with the resources you receive from them. Blackmagic has announced DaVinci Resolve 16 with hundreds of new features and bug fixes. This new version features a new Cut page, a massive Fusion improvement, some new color tools, and a more capable than ever Fairlight audio editor.